Minecraft's Xbox One release is almost at hand. Developer 4J Studios revealed on Friday that they sent the building game's port off to Microsoft for certification. Every game released on Xbox One has to be given approval by Microsoft first. The amount of time needed for their testing varies by game but often takes around two weeks. This means that Minecraft could hit Xbox One in the middle of September. A mid-September release depends on Microsoft not finding any bugs, though. If they do, 4J Studios will have to revise the game and then re-submit it for certification all over again. That's what happened with the PS4 version of Minecraft. 4J Studios sent it off to Sony a couple weeks ago. If there were no problems, it could have been released through PSN by now. However, Sony did find some bugs and now 4J is fixing them. Minecraft Xbox One, like its PS4 counterpart, allows players to create much larger worlds than possible on last-gen consoles. The greater power of the PS4 and Xbox One allow for greater draw distance, too. After launch, 4J Studios plans to expand the cap for multiplayer on those platforms. 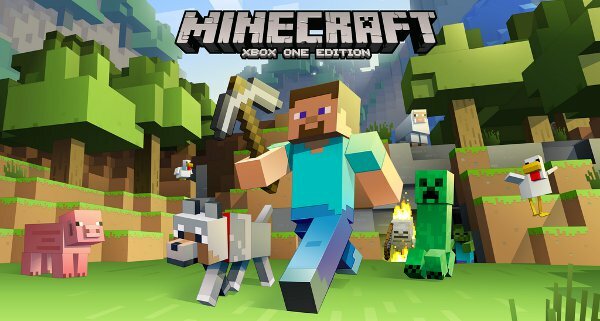 In a new interview about the Xbox One version, Minecraft creators Mojang teased the inclusion of mini-games inspired by fan creations. "At the moment we're just focusing on just getting the Xbox One thing out but it could feasibly happen," Owen Hill told TotalXbox. People would absolutely love it if we put something like Hunger Games in 360, as like a separate little mode." 4J Studios is also putting the finishing touches on the PS Vita of Minecraft. They said on August 26th that they still haven't submitted it to Sony yet. The PS4, Xbox One and PS Vita versions of Minecraft are the only ports on 4J's schedule right now. After their release, they'll focus on releasing bug fixes and new content for those platforms. They'll lag behind the original PC version even at launch so 4J will constantly have to play catch-up. "With the release of PS4 and Xbox One I think we have fulfilled most of the needs for now," Daniel Kaplan said in the same TotalXbox interview. "There aren't many platforms left to release on. We'll see, whatever makes sense and if the platform has the user base for it. We won't release on the platform is the base is very small because it's much too big of an effort." That's bad news for Wii U owners hoping for Minecraft. It's good news for PS4/Xbox One/Vita owners hoping for as much post-launch support as possible, though.